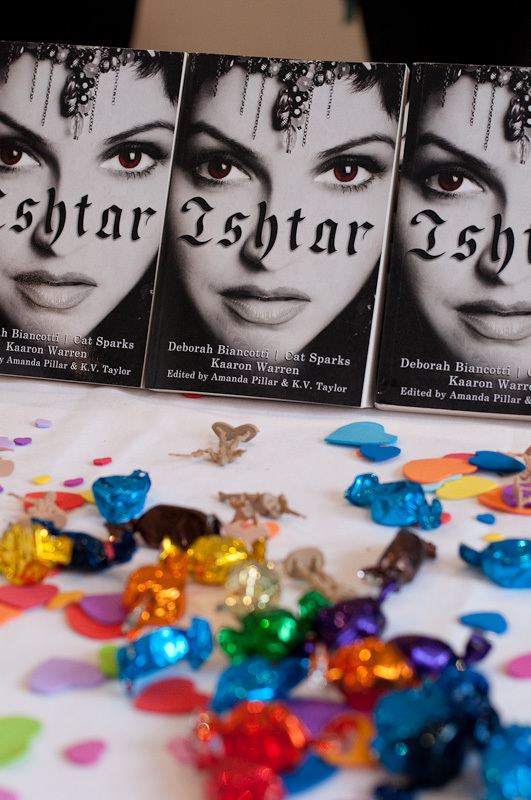 « Gilgamesh Press’ ‘Ishtar’ – Australian Launch! For those who are unaware, Morrigan Books‘ little brother, Gilgamesh Press, launched its first book at Continuum in Melbourne, Australia, last weekend. Special thanks go to Kaaron Warren, Deborah Biancotti and Cat Sparks for their wonderful stories and of course to Amanda Pillar and KV Taylor for editing the book. All hail Ishtar, goddess of love and war!